Is It Safe To Ride A Jet Ski While Pregnant? 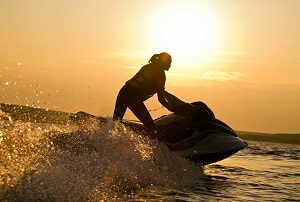 Action Water Sportz | Jet Ski Rentals Myrtle Beach > Jet Skis > Is It Safe To Ride A Jet Ski While Pregnant? Women these days prefer to spend their free time having fun and engaging in various kinds of activities. However, it’s very hard for them to adapt to certain situations when it is a must to follow some restrictions. Pregnancy requires making some adjustments in the life of the mother-to-be. Some women immediately get used to their fragile health condition and are more cautious, while there are others who are happy to continue doing physical activities like horse riding, roller skating, and even riding a jet ski, setting aside the state of their health and that of their child. Doctors do not restrict expectant mothers from engaging in fitness training like yoga and active, especially if they are having a normal pregnancy. However, there are certain sports and leisure that needs to be avoided at the time of pregnancy and that includes jet skiing. So, should the latter be allowed to women who are currently in this interesting and exciting state of health? Specialists never restrict the freedom of women who are pregnant but engaging in traumatic entertainment is discouraged. All falls can be dangerous for a baby and different kinds of sports like cycling, jet skiing, and horse riding are not recommended. Jet Skiing is among the types of sports that pregnant women are not allowed to do because of certain reasons. First, pregnant women have impaired movement coordination and that means even if you consider yourself as sporty, you might still not be able to keep your balance in case you are in danger. Jet skiing requires coordination of movements plus, it causes a powerful flow of adrenaline. The answers to the questions: can you jet ski while you are pregnant? Can you go jet skiing while pregnant, and so on will be no. It isn’t desirable since this activity will require you to be in a calm and friendly mood. Certain types of vehicles including a jet ski are likewise hazardous by jolting that can induce miscarriage or premature birth. 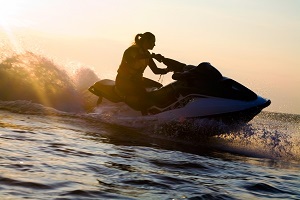 Apart from the risk of injury and even pose a great risk to the pregnant woman’s life, jet skiing is not advised for pregnant women since the machine’s engine creates a strong vibration of the rider’s pelvic organs. Too much vibration can lead to premature birth and miscarriage. – Take care of your own safety. Wear a life jacket. – Don’t ride at great depths if you don’t know how to swim. – Bring someone with you when you ride a jet ski. – Your partner must know how to ride a jet ski. – The speed limit must not be very high. – Always avoid big waves. You have to avoid riding a Myrtle Beach jet ski when pregnant. When you fall, the fast movement of the vehicle will cause great impact with the water, which can lead to serious problems like premature birth and fetal death. As for the phases of pregnancy, extreme sports are prohibited during the entire course of the pregnancy. During the first two weeks, the fetus is developing as well as important systems and organs. A woman should stay calm during this phase and focus more on the health of their baby and not jet skiing. The following weeks are likewise important since the baby will begin to feel all the activities that the mother does. In case the expectant mother is at risk of having a miscarriage during the early stages of their pregnancy, they may also be at risk of premature birth. These are among the reasons why pregnant women must take care of their state of health as well as the growth of their baby. In case you have any of these problems, you need to avoid extreme entertainment like riding a jet ski rental especially when you are pregnant. You can ride a jet ski after you’ve given birth. But for now, there are other safe and harmless sports activities you can participate in. One of the best kind of sports for pregnant women is swimming because of the many benefits it offers to both the baby and the mother. Water exercises relieve the spine of pressure, fortifies the back muscles, and enhances blood flow in tissues and organs. Apart from that, swimming gets rid of the possibility of traumas, dehydration, and overheating. It is one of the best methods to keep the body in good shape and one of the best opportunity to do it is when you give birth to your child. Additionally, there are several specialized water aerobics programs that are designed specifically for women. In case you don’t have the opportunities to go swimming, there are other activities that pregnant women can take part on like hiking. Pregnant women are allowed to go hiking regardless of their state of health and training. Hiking can help tone the leg, buttocks, as well as back muscles. It can prevent hemorrhoids and the appearance of varicose veins. It can also address venous congestion in the pelvis. Routine walking can help enhance the uteroplacental blood circulating, as a result, the fetus gets more nutrients and oxygen. It is up to the pregnant woman to decide what type of sports she wants to do and what she thinks is safe for her and the baby. Each person is unique meaning, one pregnant woman may react differently to a certain type of sport than the other. Although we cannot prevent you from doing what you want like riding a jet ski, it is still recommended that you consult your doctor first. Call Action Water Sportz for all your jet ski rental needs.